Vickie's Page | Fashions and Virtual Living in the 21st Century! The past few weeks have been quite an eye opener as I am learning the craft of Fashion Modeling. It’s really been quite a great experience and learning new things that I thought I never do, well I guess I was wrong LOL! Studying at Superior Modeling Academy under the guidance of the teachers whom I really admire in their wanting us to succeed in passing the classes I have really dug myself into my studies. Learning Color Theory is a very different area that I never knew existed. I have always color coordinated my outfits, and this is totally different than what I’m used to. You know what? I am really enjoying learning color theory and taking advantage of it. I have also been doing some store modeling at a jewelry store, and learning how to style my outfits and to accessorize with lovely jewelry that the owner gives me to wear to show. Kinda surprising that I’m store modeling as a resullt of a reference from a previous school. And not even certified yet LOL! But, I am really enjoying my studies and will continue my studies for the long haul. On Wednesday evening at The Models Hub, I had entered into the styling challenge for May, and believe me it was just an amazing experience for me to be a part of something I enjoyed doing! 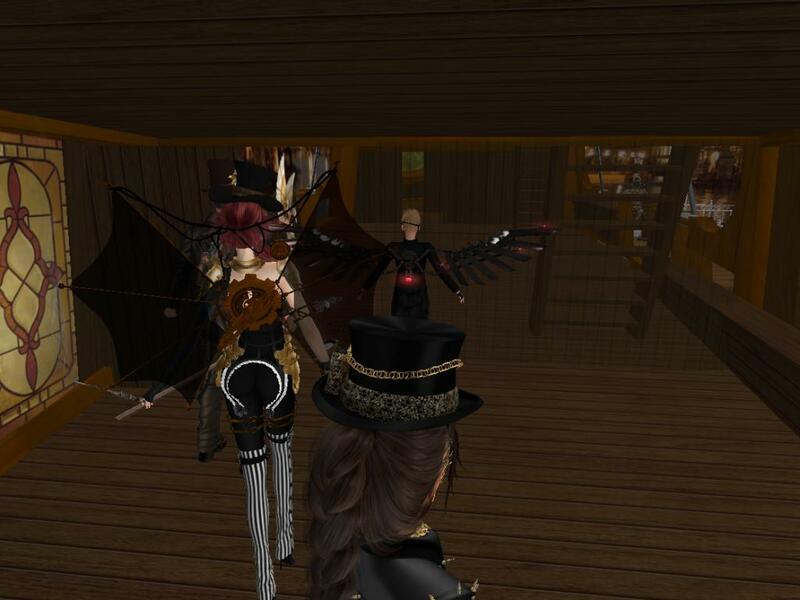 I had already had two steampunk outfits made up anyway, and the one I wore was simple yet elegant. It took some doings to get my outfit as close to perfect except I did miss a couple small details. But in such a wonderful helpful way I was told it can be fixed. I arrived early to do some practice with my walk and poses, and to make sure I knew what to do before the show started. we had a total of five models and everyone looked absolutely stunning. You can tell careful preparations were done to be in theme, and what a site we were! I was recently told I could do this to get the kind of wonderful help and advice from the judges and they really admired me for the courage for me to be a part as well. Knowing I am still in training they knew that I would be still new to modeling and believe me even having good constructive critisism and advice sure made my evening so much better! Then finally with all of us on stage as the judges made such a difficult decisions because we were just decked out in ways that made it hard to declare a winner! Even the MC was dressed in theme as well and other members of the audience were too. But overall we had a tie but sadly one of the winners lost their internet connection at the wrong time! But overall, my first experience in a monthly challenge will get better and making sure that I look over small details will help in the future!I made the remark we looked like a motley crew and the crowd bursted out laughing in response, what a wonderful way to end the evening! 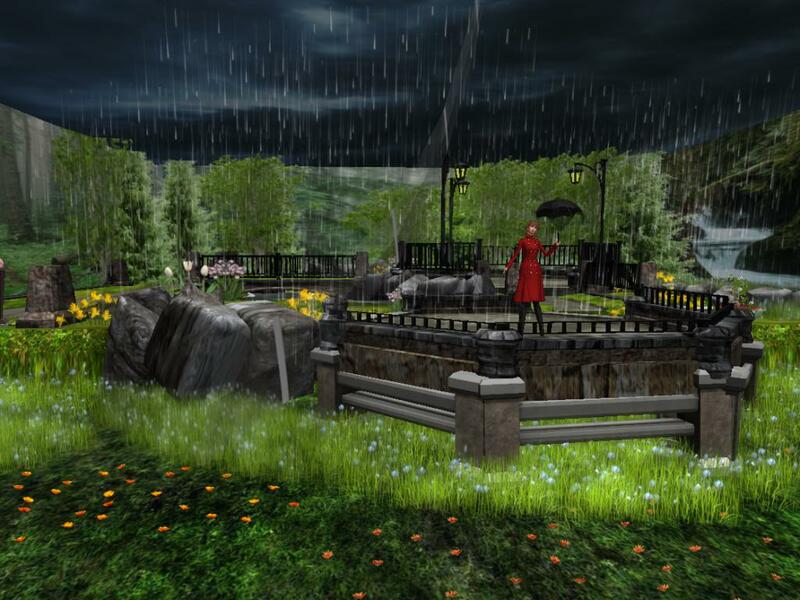 As anybody can tell you from the moment you log in to Second Life and begin your journey, you can get mountains of freebies at just about anywhere you go. Especially in the starting areas, and it builds up and up and up. Until one day,you gotten something that you wanted to either wear or rezzed out, and you look and look and look. Until finally you find what you’re looking for right? I am like others, sit here looking at my inventory window opened and I’m shaking my head wondering how in the world did this mess come about. I can say with out a doubt we all been there and done it. But today, it’s a whole new world that I gotten into in working towards being a fashion model and having to literally sit down and start organizing my inventory and folders. In the past I have made some sub-folders to put objects in to know where they are but then again, having to spend time looking for something can either found easily or make you go crazy looking. 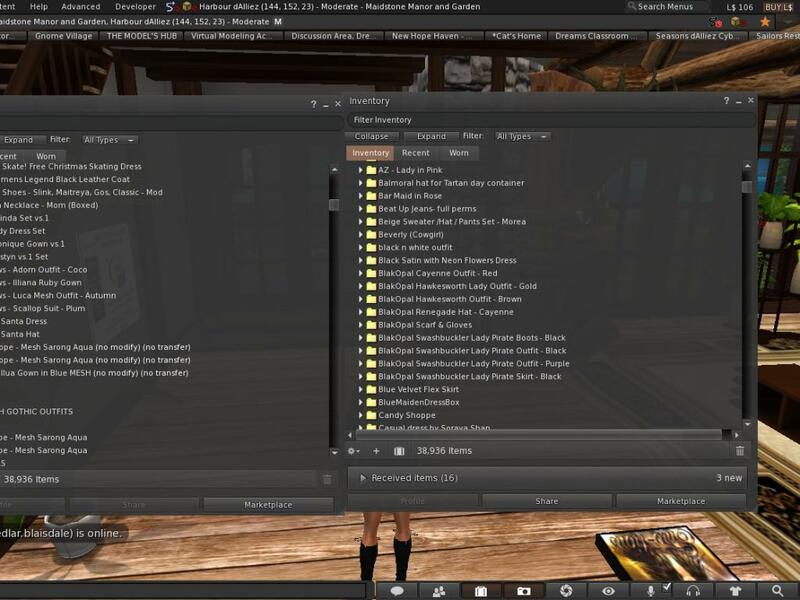 So, after attending a workshop right soon after I started my training I been going through my inventory, some 38 thousand items plus and putting them into folders and subfolders for easy spotting to get to. Even during my reorganization of my inventory, I found outfits yes OUTFITS I didn’t even know that were made for even the mesh bodies we have today! And I admit I am so ashamed of such a huge over sight on my part. and this makes me feel bad for the designers and creators that I done so. But I’m gonna do what I can to put those together even soon enough! So, knowing about mesh clothing, bodies and so on I made several folders just for those and made it so I can spot them easily and when I get them I put them right where they need to go, and it will really help me when I’m styling and adding accessories to my outfits much quicker rather than looking all over the place. For a beautiful night of dancing, this lovely gown complimented with accessories makes for a lovely evening that will surely be the pride for every lady who deserves the best. This is my formal for my styling challenge I did yesterday and today I went to Bogart’s Jazz Club and The Galleria at Frank’s Place. The gown is by Sage Pexie and is called Sage Monica and can be found at Sage Mainstore on Sage Island. The gown comes in five sizes from double x small to large Fitted Mesh, also versions for Slink, Maitreya, Belleza, and TMP. The gown also has a Color Hud for a wide choice of colors included. Hair is by Truth, called Truth Hair Gretchen, Browns, also comes with a color Hud for a variety of tints and also for hair tip colors as well. Jewelry; Black Pearl Set by Nyla Cheeky. Matching Pearl Drop Earings, Necklace and Wrist bracelet compliments the gown as well. Foot wear; Slink Female Feet (AvEnhance) S-High, Slink Gabrielle Heels Black. I really enjoy getting dressed for a night out and this is one outfit I know I’ll wear for those special times ahead. The last few weeks have been a whirlwind of activity as training to be a fashion model has been nothing but a lot of fun and a whole new learning experience. Two weeks ago Martin Glom gave me an assignment to which I threw myself into and to get two outfits styled and ready. He told me this would be simple and easy so that way I can learn first hand what a model goes thru ad believe me, I enjoyed every moment of it! He had me to style a formal outfit and a casual beach wear outfit for my first styling challenge and I had fun putting those together. May 15th was the day I was to be ready and I was pretty well excited to do my first challenge. Getting both outfits and my Strut-It huds together proved to be a task I was able to complete on time. Making sure the poses went along with the outfits wasn’t so bad except I did find a couple poses weren’t working so adjustments were made to get them to work finally. At the appointed time in the afternoon I arrived at the school’s runway and met up with Martin and two judges Tanya Matahari and Catalysis Resident. I had already spent some time in practicing getting my walks and poses down to where I could show what I had learned so far, and at the end recieved some very lovely comments and constructive feedback which will help me further along in my modeling career. Sure, there were some minor miscues on one of my walks and a couple small issues with one outfit, but overall I was very pleased as well they were as well. Taking my first styling challenge and knowing what areas to work on will help even more as I am now armed with new knowledge towards a successful career for the forseeable future! As an upcoming fashion model I have been working patiently with Martin Glom at the Virtual Modeling Academy and believe me we have been making great progress so far! My only hiccup is using the ALT-CAM but I am getting the hang of it. It takes time and practice but before I know it, I’ll be a pro at it with out so much as thinking about it. Much of what I have learned so far is being put to use as I know it’s gonna be something every model goes through to achieve goals in the modeling industry, and I intend to make those one way or another. Learning how to style an outfit to which I am doing is getting easier everyday. I see little details tho I can improve on and that will be done over time as well. Getting a Strut-it HUD put together with poses to use out on the runway isn’t hard either because of the simplicity of the way it’s put together overall. Even going to workshops have been a plus for me to get a better idea and understanding of what it takes being a fashion model, and the information is well worth going to those as well. Learning something totally new in my book is opening a new world in my virtual existance and I am going to go even farther than I could ever imagine! So, learning and having fun in a whole new way is to me just simply awesome and opening a new world yet to be explored! http://maps.secondlife.com/secondlife/Babeli/83/16/1502 Virtual Modeling Academy, a school to learn the arts of fashion modeling. http://maps.secondlife.com/secondlife/Sprout/82/55/3804 The Models Hub, Monthly Styling Challenges and workshops related to the fashion industry. As an upcoming fashion model I have attended several fashion shows recently to see how the models styled their outfits and observe walking the runway and using various poses. The experience is not only rewarding but also gives me a great idea of what is expected of me once I graduate from modeling school. 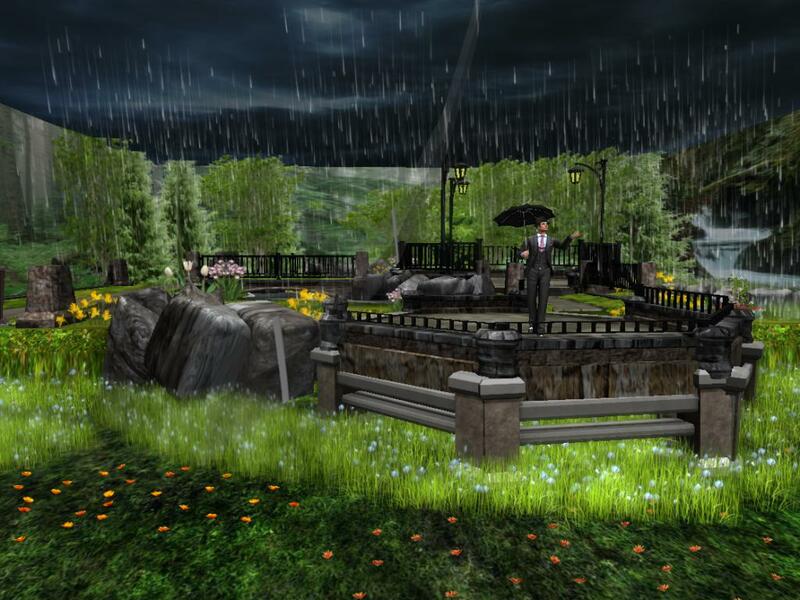 An invitation was sent to me to attend another show last night and I went to the Model Hub in the Sprout sim to the Models Workshop and believe me again I was very impressed with the way the models shined as they walked the runway modeling outfits for a rainy day. I took several pictures and it’s hard to pick out what I wanted but the results are such I’ll show a couple here! This gentleman looked very dapper in his outfit and reminded me of being British but he is from Australia. The way he stood holding his hand out sure did remind me of them. From France this model looked stunning in her outfit and the red coat stood out in an otherwise gloomy rainy day! From New York I think it was said, this lovely model had to run to keep from getting soaked in a sudden down pour I’m sure but looked just as lovely as well, hopefully she didn’t have far to run! And finally, the models and the CEO and COO for a grand finale together on stage at the close of the show. This was one of the monthly Models Challenges where a theme was selected and the models had to style accordingly, the build is very beautiful and reflected the atmosphere needed to capture the theme. There will be more and I will be writing about them and including more screen captures, and who knows I’ll be on stage myself even!